Need To Sell Your Inherited House Fast? Selling an inherited house is not always EASY as people think. At We Buy ALL Houses San Antonio, we know there is a lot going on between emotions, title issues, liens, etc. We are here to help. ….. Repairs? Don’t worry about them. We buy property As Is (and in any condition) so you do not have to fix a thing!! ….. We never charge any fees! ….. We can even help you through the probate process. If you are thinking you need to sell my inherited house, we can make you a fair cash offer and close on it on the day of your choosing. Do You Need To Sell An Inherited House? The biggest issue with trying to sell with a real estate agent or selling it yourself is often times retail buyers will tie up a home for weeks and pull out on the deal at the last second… or have their bank loan fall through. Have you tried to sell your house but are running into roadblocks? Have you even tried calling a real estate agent only to get the run around? 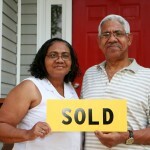 In many situations, selling a house the traditional way with a real estate agent is simply not the best for everyone. First you have to find a real estate agent who you can trust to deliver on their promise (selling your house fast). We are local San Antonio home buyers that help property owners just like you. Inherited a property brings on the stress of keeping up with the property (insurance, taxes, maintenance, etc), and in some cases it is better to sell the property quickly. The tax consequences of inherited a property alone can be enough to cause headaches. Sometimes, those in your situation have lives that are too busy to take the time to do all of things that typically need to be done to prepare a house to sell on the market… if that describes you, just let us know about the property you’d like to be rid of and sell your inherited house fast for cash. If you prefer to talk to someone in our office before submitting your property information just give us a call today or text us at (210) 300-3307. Hi, San Antonio. My name is Liz Perez with We Buy All Houses San Antonio. Do you have a house that you’ve inherited and you need to go through the probate process? Well give us a call today. We’ll actually skip through the probate process, saving you a lot of time and a lot of money. Give us a call today at 210-300-3307 or look us up online at www.satxwebuyhouses.com. Thanks for clicking on our site and have a wonderful day.